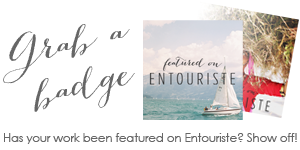 Article + Album – Featuring stunning images and text detailing stories of travel the world over, Entouriste articles are perfect for detailing a specific travel experience or attraction, reviewing a hotel or restaurant, or telling a story about your travels. Each article features a single contributing photojournalist bringing their journey to life for Entouriste readers and boasts a beautiful gallery of images from their travels. Think photo tours of London, images captured while strolling the beaches of Bali or scenes from your favorite National Park! Hometown Highlights – love your city? Think others will love it too? Share your favorite local haunts with the Entouriste community in our Hometown Highlights series! If you love to travel, now is your chance to share your favorite vacations with our readers! Do you have a particular experience or trip you’d love to write about? Have an image you think could inspire a slideshow or a set of photos that would make a show stopping album? We’d love to hear from you! Entouriste will be spanning the globe, from near to far! If you don’t yet see your destination covered, never fear—submit your vacation and it could be the very first for that locale. And, don’t worry if your favorite destination has already been shared, every one has a different travel story to tell and we would love to hear yours! Each collection of images should be accompanied by no less than 3-4 paragraphs about your experience. Please don’t worry if you are not the “best writer”—your enthusiasm for the destination will come through! As Entouriste is a visually-inspired experience, each image should be named with the attraction, city, or destination that it features. 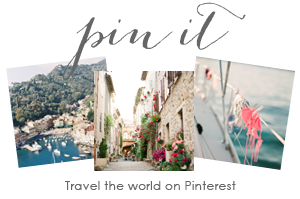 To help readers search and plan for their next vacation, all images will display both in their article and album, and on their own featured page with all of the details such as image title, tags, descriptions, and photo credits, to help bring the farthest reaches of the world a little closer to home. I can’t wait to see the world through your lens!